Home » How To Blog Sessions » How to migrate from Blogger to WordPress? 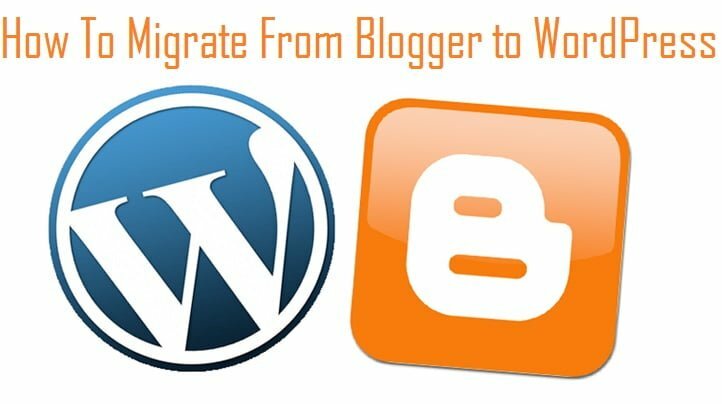 How to migrate from Blogger to WordPress? Hi. Welcome to HiTricks. Here we will discuss about an important topic: How to migrate from blogger to wordpress? Not only that, we will also show how to retain your old blog traffic and page rankings so that you don’t loose your organic traffic. This is a very important thing to do to maintain your seo. Let’s begin. Often we start our blogging career from the google alternative Blogger and after we realize that wordpress is more friendly, we often want to switch to wordpress. WordPress also has a feature to import blog posts but is that all? When you move away from blogger, your old blogger pages will display a 404 error. The links you shared earlier with your friends and on social media will all stop working. To help all these, you need to transfer your blog maintaining the seo, and it’s very easy if you follow all the steps. Along with this we are also describing how to get free web hosting on your domain, provided by Paisa Swipe. Let’s begin migrate from blogger to wordpress. 1. Your website may display 404 Not Found error even after 48 hours of completing everything. Don’t get scred. Its not absurd. 2. Don’t play around with your cpanel or wordpress codes. This can damage your site which you can never get back. 3. Try to follow tutorials while doing any experiments. 4. You are responsible for anything done wrong while setting the website up. However, the entire process is very easy if you follow it step by step. 5. In case you are afraid to do so, you can ask me for assisting you personally and setting it up for you, though I never expect that. This personal assistance is chargable, because it takes quite a few hours to do so and needs patience. Contact me on Facebook if you need help. Have less time? Have more internet data? Then watch out our user-friendly video tutorial with screen recordings. This will ensure you never do any mistakes while performing it. If you have a custom domain name attached with your blogger account, unlink it completely at first. Open your blogger blog. Navigate to ‘Settings‘ > ‘Basic‘. Find the ‘Blog Address‘ section. Click on ‘Edit‘ to the right of your own domain url. Then remove it from there. If you don’t have a custom domain yet. Buy one. We recommend BigRock for purchasing your domain name. It is compulsory to avail free hosting from Paisa Swipe. Remove Blogger DNS that you added while linking your domain to blogger. Login to your domain service provider (like BigRock). Come to the DNS Management section. Then remove all records from there. There will be 4 ‘A- records‘ and 1 ‘C-name‘ records for sure. Remove them. To be clear, remove ALL SETTINGS that you modified while linking your domain to your blogger. If you don’t have a custom domain, you can skip this step, but you cannot go any further without owning a domain name of your own. Now avail free web hosting from Paisa Swipe. You will get your cpanel login details to set up wordpress. Click here to know how to avail free hosting from Paisa Swipe. Click here to set up wordpress on your free web hosting. After you set up wordpress, you can now move to next step of importing your blog. Hope you have logged in to your wordpress account and updated your plugins and themes? Now go to ‘Tools‘ > ‘Import‘ and choose ‘Blogger‘. A dialog box will load. Click ‘Install Now‘. On the next page, click ‘Activate Plugin and Run importer‘. On the next poge, click ‘Authorize‘. It will login to your google account and ask permission to allow access to your blogger account. Click on ‘Allow access‘. It will show the list of Blogs you own. If you own only 1 blog, it will show up there. Click on ‘Import‘ to the blog you want to import. If you did not have any custom domain earlier, this tutorial ends for you. You are on wordpress and can start posting. However, if you have a custom domain, you need to follow some more steps so that your old link redirects to your new blog. This ensures you don’t lose your previous blog traffic. Set up post redirection. Go to your Blogger Blog. Click ‘Templates‘ and scroll down till you see ‘Revert to classic Templates‘ Click to revert it to classic templates. There will be an option: ‘Edit Template HTML’ Select all of the HTML codes and replace it with this code: Code 1 [We call it Code 1 for our convenience] Note: In the given code replace ‘androidexpertxclub.in’ with your blog domain name. Make sure you copy and paste the code properly. Look out for the androidexpertsclub.in and be sure to replace them with your blog domain name. You are almost done. Now manage Feed Redirection. Open your Blogger Blog. Click on ‘Settings‘ > ‘Other‘. You will see ‘Post Feed Redirect URL‘ option. Click on it and remove the existing feed url. Replace it with this: http://[domainname].com/feed In place of [domainname] write your own domain name that you purchased. Done and all set! Congrats! You have successfully moved your blog from Blogger to WordPress without losing page rank. 1. Moved your blog to WordPress? What Next? Decorate your new home! 2. Tools you must need to install on your wordpress to help you out. 3. Set up your email account! 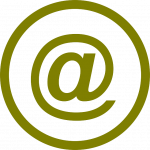 Ya now you own your own email with your domain name! It’s going to be fun! Thanks for reading how to migrate from blogger to wordpress. Do share if you like it. Keep visiting! This is the end of session 6 of our How to Blog sessions. Continue to session 7: [To be posted soon] or start from session 1: How to Blog? How to set up custom email address for free? it was a nice share dude. you described small to small step and it was very useful for me. As i was looking for this to move my blog from blogger to wordpress and this article clarified my all questions. Thanks Brother. It is really very useful. Thanks for writing such an awesome tricks…..